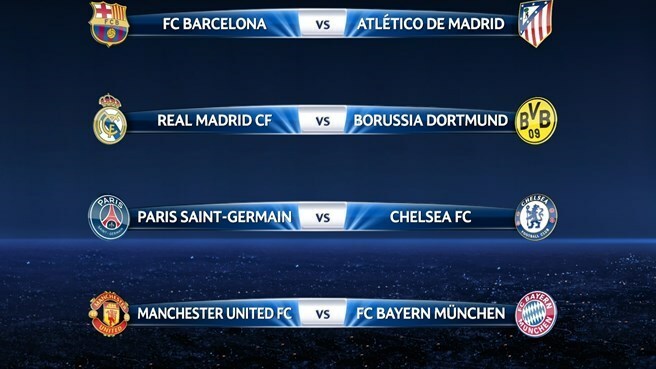 The reigning champions ,FC Bayern München will play Manchester United FC in the UEFA Champions League quarter-finals. 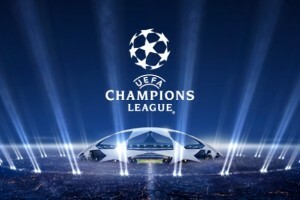 The clash between Bayern and the Red Devils evokes memories of the clubs’ 1999 showpiece in Barcelona, where Sir Alex Ferguson’s men scored twice in the 90th minute through substitutes Teddy Sheringham and Ole Gunnar Solskjær to stun their opponents and complete an unprecedented English treble. Bayern’s domestic rivals and the team they defeated at Wembley last May, Borussia Dortmund, renew acquaintances with Real Madrid CF. The clubs went head-to-head 11 months ago in a semi-final memorable for Robert Lewandowski’s four-goal haul in a 4-1 first-leg. Premier League pacesetters Chelsea FC, meanwhile, will tackle their Ligue 1 counterparts Paris Saint-Germain. 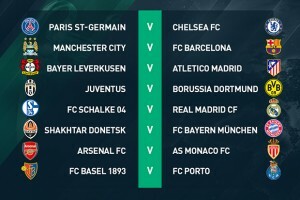 The semi-final draw, also held in Nyon, is on 11 April, with those matches scheduled for 22/23 April and 29/30 April. The 2013/14 UEFA Champions League final will be played on Saturday 24 May at Estádio do Sport Lisboa e Benfica, Lisbon.